The candidates had applied for the process, and the allotment results were also declared earlier. Over 5.1 lakh students had applied for which the initial rounds of allotment were carried out in June. However, the department has invited the applications from the candidates for the admission to the remaining seats. According to the data, as published by HSCAP, a total of 76,873 students had sent their applications for the supplementary round. 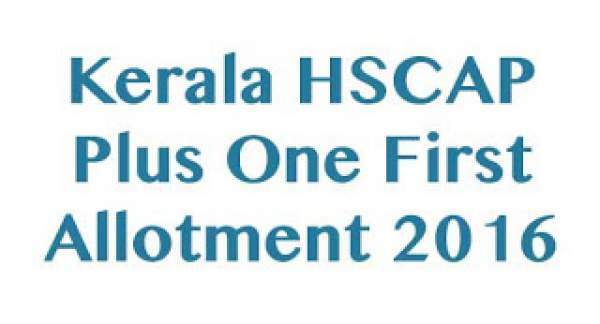 The Higher Secondary Department, HSCAP Kerala has announced the second supplementary results for Plus one allotment 2016, a list of candidate who were denied admission in the first round of supplementary allocations. A total number of 11,668 seats are allotted to the candidates in this round against the 16,475 vacant seats published in supplementary allotments. A large number of candidates applied for it. A total of 40,098 applicants had registered under this round. After the admission are made here, a third supplementary round will be held for 4,807 seats still vacant after the second round. The Department of Higher Secondary Education, Kerala has been admitting the students for the Plus One course through Higher Secondary Centralised Admission Process. The initial admission process was completed successfully. However, the supplementary allotment was released for the vacant seats. The candidates can check the result on the main website. The first step is to check the official website of www.hscap.kerala.gov.in. Search for the link “Plus One Allotment 2016” by scrolling the page down. Then click on the link. Lists of the candidates received the seats will be open on the screen. Save and download the list. And take the printout of the list for future reference. Candidates who received seat allotment should take the printout of the two-page allotment slip and secure their admission at the designated schools on 25 & 26 July. Candidates can also check the forthcoming schedule for admission on HSCAP website of www.hscap.kerala.gov.in.